Chuchuhuaso is a fruit from the Amazonian region of the South America. It grows in a large area of this continent falling in Bolivia, Brazil, Colombia, Costa Rica, Ecuador, Honduras, Mexico, Nicaragua, Panama, Peru, Surinam, and Venezuela etc. It just grows wild mostly in floodplain forests and is not cultivated. A understory tree or a climbing vine, sometimes reaching 30 m into the canopy of upland forests. Seeds 4, covered by a translucent, jellylike pulp which constitutes the edible ortion. The fruits ripen during the rainy season. Local people collect the fruits during by bending down branches from their canoes and eat them. 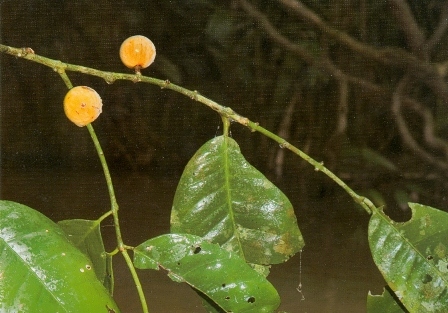 The fruit also has some medicinal use in some areas. Chuchuhuaso is found below 1,900 meters. As already stated, the fruit is not cultivated and is collected only from the wild.